Do All Of Motion Array's Templates Come With Tutorials? Yes! All of our templates come with PDF tutorials. But hopefully, after a while, you won't even need them. That's because all of our templates are extremely intuitive and structured in the exact same way—so once you learn how to customize one, you'll be able to customize them all! After downloading the template, go to whichever folder you selected to have the download sent to. Here you will find a .zip file. Click on this .zip file to extract the zip folder. Inside the zip folder, you will find a PDF tutorial containing all the information you need to install and customize the template. 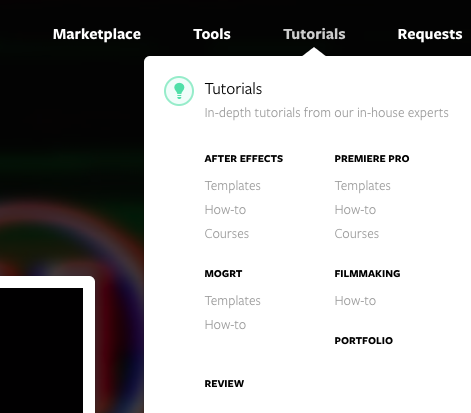 You can also access our tutorials by going to the top menu on our website and clocking on "Tutorials."